Victorrious Digiital > Blog > Digital Marketing > 12 Attractive Reasons Why Social Media Marketing is a Must For Your Business? Do you know more than 90% of marketers have experienced the growth of their business through Social Media Marketing? The market is expanding at a rapid speed all around the world simultaneously giving birth to multiple competitors too. But a big question arises, do all markets sustain? This is the world of Survival of the Fittest, both for living beings and living markets. Do you have a market? If Yes, then, of course, you need building blocks to sustain in the market and establish it as a Brand. Social Media is the major key to unlock the lock of a business trunk full of marketing strategies. Every new day around 20% new users are getting themselves linked on Social platforms like Facebook, Twitter, Instagram, LinkedIn, etc. Social Media provides the platform to haunt your targeted customers through all these platforms. In this Digital Marketing on Social media with one broadcast advertisement, you can create a traffic-bee around, faster than Traditional Marketing. Creating traffic with attractive ads you can optimize your business and convert leads. In the 21st century of periodic expansion and evolution of technologies, Social Media with its many tools are the greatest bonus to the marketers for both small scale and large scale, and for basic marketers, in this platform, several Digital Marketing classes are available to stand the best in between their competitors on Social Media too. Within a few seconds, you can broadcast your AD through attractive content & reach to multiple customers of your required need by getting connected with them on Social Media. All business leading terms like inventory, selling, purchasing, delivering, transacting, can be easily done while sitting in one room. Do you want to make your company a “BRAND”? Well here’s a gift of Social Media, which is a true platform and a junction of many tools to enhance your website and a company both publicly and professionally. With the magical tools of Social Media, you can make your own LOGO and Brand Colors to give an identity to your website and a company in the world of markets. No doubt the company doesn’t become BRAND overnight. First (front end) :An attractive website with attention-grabbing images including magical content on your page as well as on your blog and allowing a guest post with comment and reviews which will give a positive signal to enhance your website in customer point of view. Second (back end) :By delivering your best products and services to your customers with proper management facilities and also by maintaining relationships with a customer to create trust factor through your website. This will enhance user interaction with your company’s page and build his trust in your company which leads to raising your website and company rank in the market list. How much do you invest in one Advertisement? The answer may differ from the way you advertise. 1,50,000 or more for TV ads, approx 1,00,000 for Big Hoardings, around 8000 for Newspaper ads for a full page, etc. Social Media allows you to do Free Advertisement for your business. You may hire someone to handle your account on social media or with the help of Ad management tool, You can create your business campaign and make it popular on every social platform. This is very easy to learn, and implement by yourself or can join any Digital Marketing training course and get filled yourself. Want to double your productivity?YES! Then HOW? Again let’s come back to Social Media but how? As per the above quote by W. Edwards Deming, you need repeated customers. Returning back & buying a product again from your market is actually a great sign of your good product & services in between your existing Competitors. And if customers promote your company by mouth publicity then there may be a chance of getting more customers to your door. The goal is not to sell your products but to get more and more new and repeated customers that will enhance your growth. For that, you need to maintain the professional B2B bond and B2C bond by building trust in between. Challenge : You get it from your active competitor nearby you by peeping outside from the window and by monitoring social activities of him to get some idea and the strategy they are planning out to grow their business. This is a positive challenge of comparing the state of things. Checking updates and news feeds will keep you attached with surrounding like what’s going around? A definite challenge will force you to think of replacement and evolution. Evolution : No, don’t copy the idea of your competitor. By getting an idea of the product and updates, you and your team now will be able to work in developing that same product into a new, handy, long durable one and then you can launch it in the market in a new evolution way which will seize the attention of your audience (customer) to buy that product which will again be a good sign for the product and services your company is providing which will result in generation of more and more traffic on your website. A relation of customer and a seller seems to be uneven around in the business. But to build a strong bond with him leads to run your business effectively for the long term. With a large database of your customers which are coming on your site through Social accounts like Facebook, LinkedIn, Twitter, Instagram, Pinterest, Snapchat gives demographic information about them. Smartly you can categorize your real customers and can cut-off the one you don’t need it. Accordingly, you can serve the best, innovative and durable product with the inclusion of services in it. Re-targeting: Target your customers again who visited your website only for a few minutes. Do you know 70% of online carts sometimes gets discarded? On an average 70% of online carts gets abandoned. The obvious reason is the pending decision of them or ignorance to that product after some time which they had put in the cart. But we can make them ready to buy the same product again which they had put in their cart by Re-marketing and encouraging them to buy that product again. Re-marketing will try to increase your sale by 2-3% which provides a profit and bring your customer back to your website. Doing analysis before taking any decision gives you the right direction to go ahead. Just like to grow your business in the right direction you need to analyze both the positive and negative aspects of your business with a future cause. Analyze your own Website and Business. 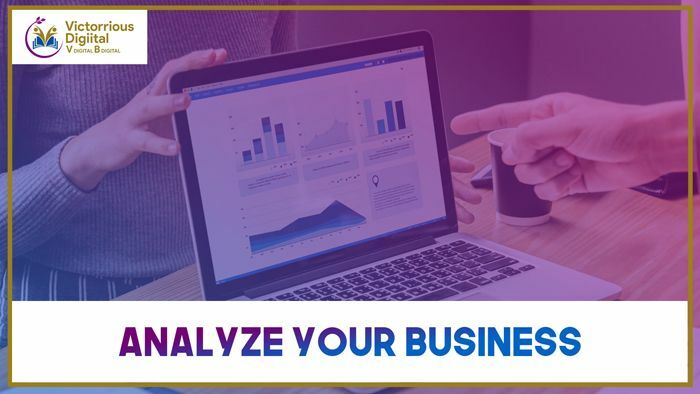 How can you analyze your Business? Google Analytics and Webmaster tools are the 2 gadgets which can help you for proper analysis and correction to be done on your website. On keeping a track and the daily record of the bounce rate of customers on your site, lead generation & conversions will help you to read your business and its website in depth. This will result in you to think for innovative ideas and a strategic plan to give a great bang in the market between your competitors which will attract more audience to reach on your site and help you to reach the goal by the conversion of a customer with proper satisfaction. You don’t need extra space and a huge amount to invest in your business to set or re-locate it on Social Platform. Social platform will help you to reach out to different audiences living in different places across the globe and make you able to place your marketplace from one location to another according to your requirement on a website. Likewise, if you want your one business to be located in multiple places then you can easily go through the targeted location you need. Only you require an Internet, Social Media, and your company’s Website. Social media gives you a smart way of inclusion and exclusion of the places for your company to get settled on Social media through your website according to your need. Think about it twice. Feed your business to more and more customers with smart business tactics through Social platform. Are you facing any crisis in your daily traditional marketing? What to do? Social media is the Sixer hit when your company is going down in the traditional market. Learn Digital Marketing courses, Go online, Build your business. This is the best way to deal in the worst case of ups and downs of your company in the market. Social Media is a reachable marketplace for many people at a time, which is a big reason to grow your business faster. Social media keeps you connected to see where your business is going down and you can re-correct it to boost up in the market zone with the help of various social media tools. Misfortunes are the sudden calls, but at least your business will have a plus point of no loss of data and information, which will help you to re-built the pillars of your company to make it stand again. Branding your company needs a proper long term strategic plan. Today 80% of the business work is handled by social media and more than 77% of business people are joining this platform to stay in a race. No doubt to run your business effectively for the long term in the market you need Social Media which is the best way to enrich and grow your business. You can set up your multiple businesses in the places you need in your pocket budget. And no doubt day by day the number of people coming Socially is increasing. This is a good sign to attract them through your market and make them connect to your company and its website. Technology is enhancing periodically so you can also enhance your own business socially for long term vision to stay in the race of marketers. Are you really worried about not knowing the function of Social Media? Well, you don’t need to worry about. Many Digital Marketing training centers are available at an affordable price near you. Also, you don’t need to worry if you don’t have time to learn, you have an option of hiring an experienced Digital Marketing Executive. Like a coin has 2 faces, simultaneously Social Media has 2 sides but it’s on you what you chose and how you use it effectively? 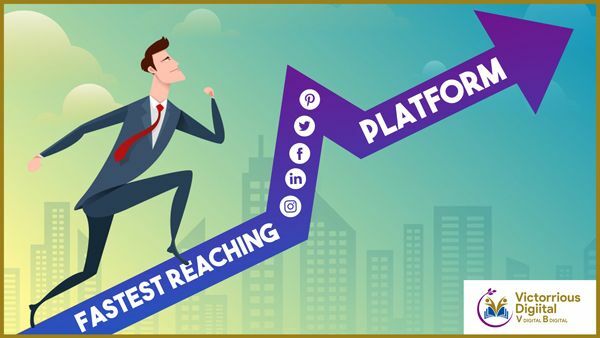 Being from the background of Business world, don’t be late to come on the Social Media now itself to grow your business successfully otherwise somewhere maybe your competitor is taking this chance to enhance their business. Most of the business people commented on the life of business on Social Media Marketing that it is the best and affordable plan you can implement it in your business to enhance and get to be called as a BRAND.